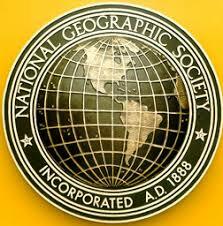 National Geographic Society is seeking proposals from around the world to advance the field of science communication by determining effective ways to market nature and inspire action. One of the greatest challenges in addressing wildlife issues is that simply communicating the science is often insufficient to inspire action. How might visual artists, photographers, and videographers more effectively create and use images or video to overcome apathy towards species? The goal of this RFP is to determine effective ways to market wildlife to inspire positive action to save species by applying principles of science communication. They seek proposals that advance the science of nature communication by systematically testing visual and marketing methods; visualizing complex data; or developing and evaluating new techniques directed to motivate action to conserve wildlife. Typical proposal requests should be less than $30,000, but applicants may request up to $50,000. Successful applicants may use awarded funds over one or two years. National Geographic Society seeks proposals from around the world that advance the science of nature communication by systematically testing visual and marketing methods; visualizing complex data; or developing and evaluating new techniques directed to motivate action to conserve wildlife. Requesting funds to “buy out” salaries for full-time employees from their institutions is not allowed. All applications should include a clear review of the state of knowledge about the topic and a plan for evaluating the outcomes of the proposed work. They do not accept mailed or emailed applications. All application materials must be in English. For more information, please visit Making the Case for Nature.